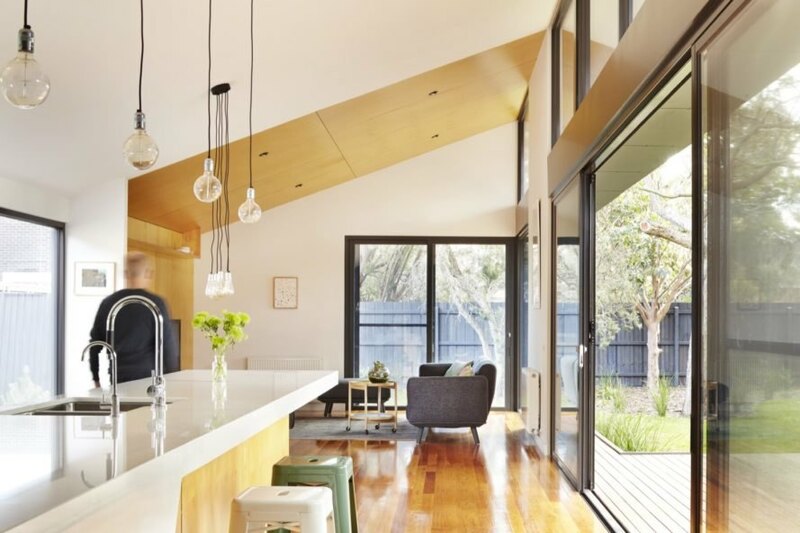 When a well-traveled couple tapped Australian design practice Nic Owen Architects to renovate and expand their modest 1940s home in Hampton, the architecture firm channeled the clients’ love of adventure into a design that boasts elements of mystery and surprise. Connecting the original clicker brick structure to a new extension is a dark tunnel that’s curved to obscure views of either end and to create what the architects call a “surprising adventure,” giving rise to the project’s name, the Journey House. 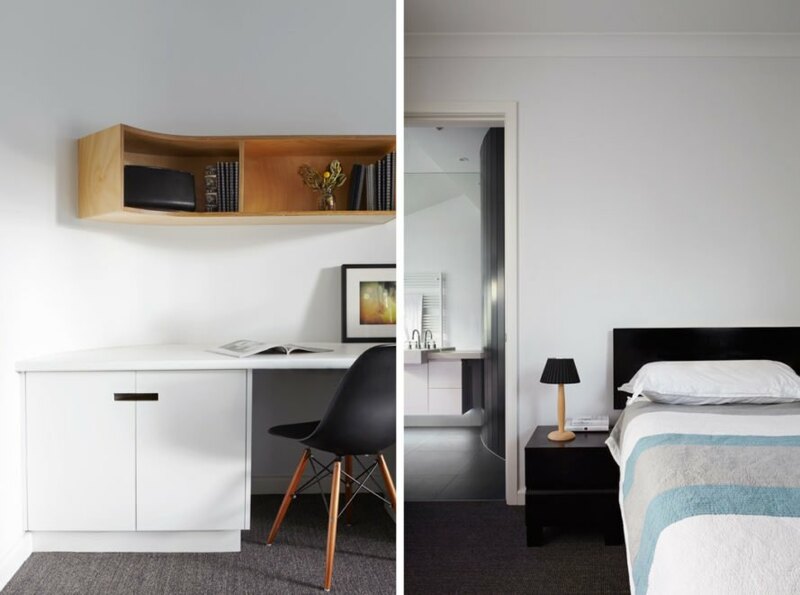 The project brief called for greater living spaces, updated amenities and a strong connection with the outdoors to complement a more tranquil and relaxing home environment. To respect the neighborhood’s character, the architects preserved the existing building and tucked the contemporary extension into the rear away from view of the street. 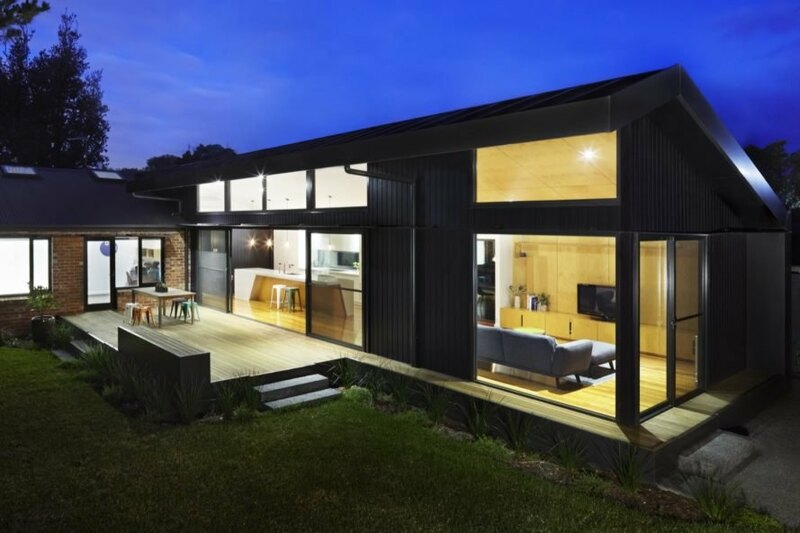 Obscuring the extension creates a “voyage of discovery” for visitors who enter the mid-century home and then travel through the black timber-clad, curved tunnel that opens up to the surprisingly bright and airy destination: the new timber-framed extension housing the open-plan living spaces. Large, double-glazed windows and sliding doors provide the close connection to nature that the homeowners wanted. Updated to 166 square meters, the renovated and expanded house also boasts improved energy efficiency. In addition to the double-pane glass windows and doors oriented to the north to capitalize on solar gain, the architects installed custom CFC solar shades and used recycled materials and LED lighting throughout. 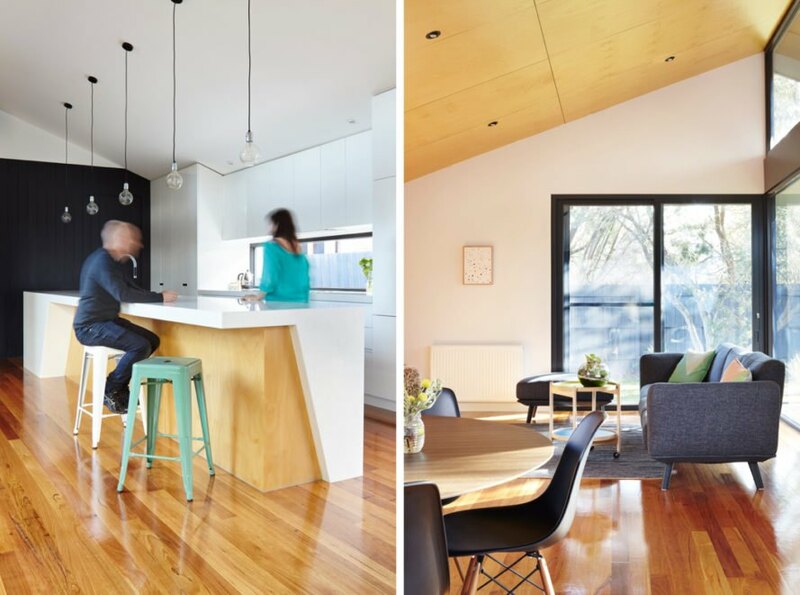 Nic Owen Architects have extended a mid-century home but not without adding a few fun twists and turns. 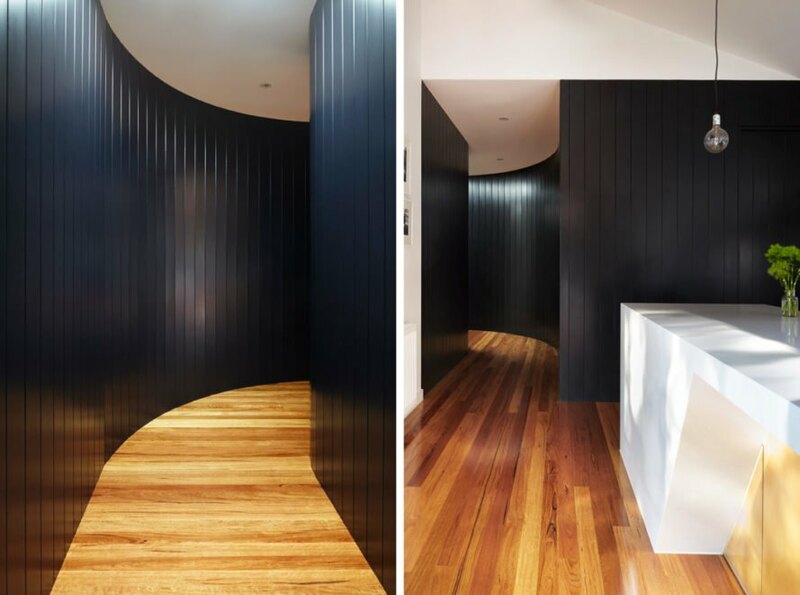 A secretive, curving tunnel connects the original home to its extension. The architects were careful in respecting the neighborhood's character. Contrasting with the dark exterior, the inside of the home is bright and modern. The clients wanted the house to connect with nature. The tunnel provides a surprising adventure for those traveling from the main residence to the extension. Minimalist decor keeps the focus on the surroundings. The extension is tucked away behind the original home.